It's getting close; the 015 Honca Civic Type R is testing out in th ecold white stuff. 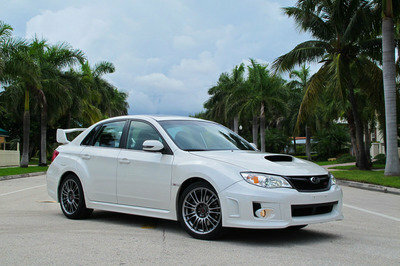 Check out what we think at TopSpeed.com. 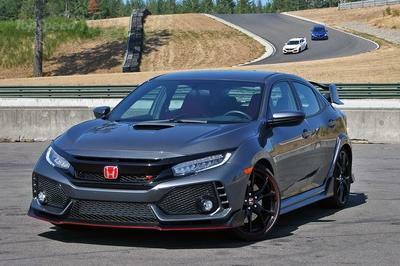 Last time we saw the upcoming 2015 Honda Civic Type R stretch its wheels on public roads it was late September 2014 and the hot hatch was circling the Nurburging track, waiting for access on Germany’s iconic Nordschleife course. Four months later and the Japanese automaker is still honing the Type R, this time using Sweden’s wintery landscape as playground. Needless to say, I’m fantasizing about a full-fledged Civic Type R rally car as I write. But while a WRC-spec Civic isn’t likely given Honda is already extremely busy with its British Touring Car Championship (BTCC) program, a brand-new, road-going Type R is right around the corner. 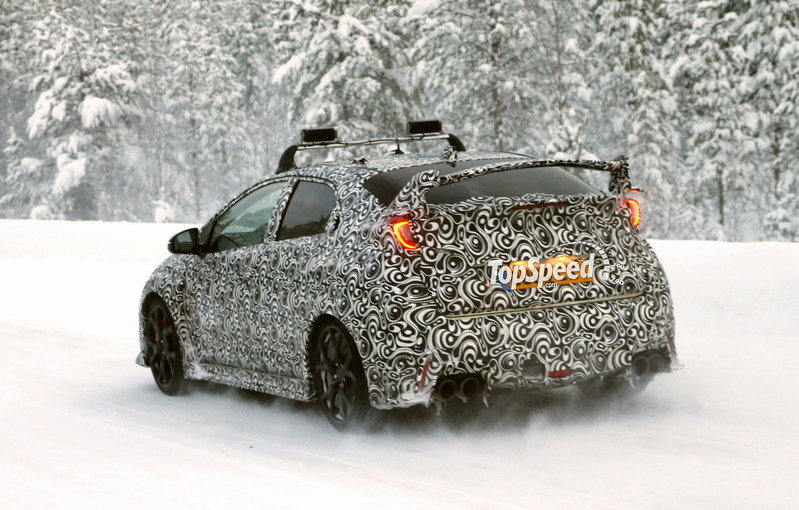 Set to debut this summer, the Civic Type R continues to present itself in heavy camouflage, although Honda as already opened the order books in the United Kingdom, where the hatch is expected to cost from around £30,000 ($45,600 as of 1/14/2015). We’re just a few months away from seeing the new Type R in the metal, but until that happens, read on for a recap on what we already know about Honda’s new hot hatch. Click past the jump to read more about the Honda Civic Type R.
This Type R might be camouflaged to the teeth, but we’ve already seen most of its exterior details thanks to the 2014 Type R Concept II and Honda’s known habit for displaying near-production cars while calling them concepts. As we pointed out back in September 2014, the front grille and the bumper of the test car are similar in shape and size to the concept’s, while the splitter is almost entirely transferred from the study shown at the Paris Motor Show, except for the side fins. On the other hand, I spotted two significant differences on the car’s nose. The headlamps come in a toned-down configuration, while the LED strips in the air dams have been replaced by round ones. Around back, the fascia is similar to that of the Concept II’s, with the bumper, the quad-exhaust arrangement, the diffuser, and the large wing mirroring their so-called concept counterparts. Slight modifications can be seen in the lower apron and taillight area, though. The lower light units now flank the diffuser and exhaust assembly, whereas the Concept II has them right above the pipes. The taillights are also different, seemingly missing the bits that extend into the wing. When viewed from the side, the test car showcases the same flared arches and multi-spoke wheels with red calipers behind them. 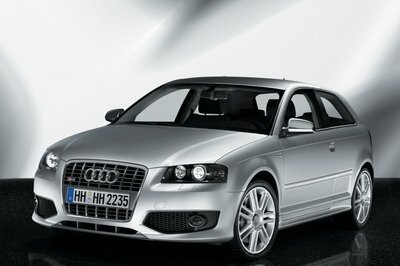 The deeply creased side skirts of the concept, however, have been replaced by more down-to-earth pieces. Still, the Type R remains aggressive by appearance, making the Golf R seem rather plebeian by comparison. 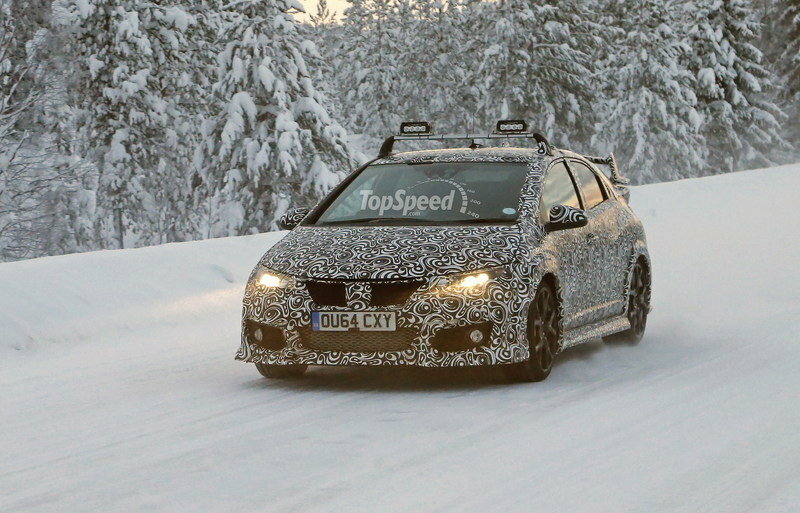 While these spy shots do not reveal anything new about the upcoming R Type, they come to confirm development is in its final stages, with engineers gathering data about the car’s behavior in cold weather. 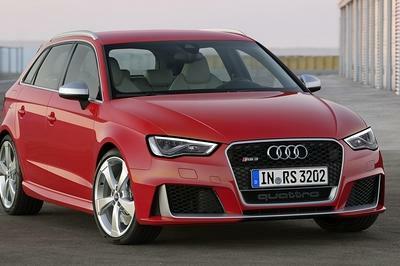 Once the final tweaks are in place, the hot hatch is likely to have a go at the Nurburgring lap record for front-wheel-drive cars before going into production. 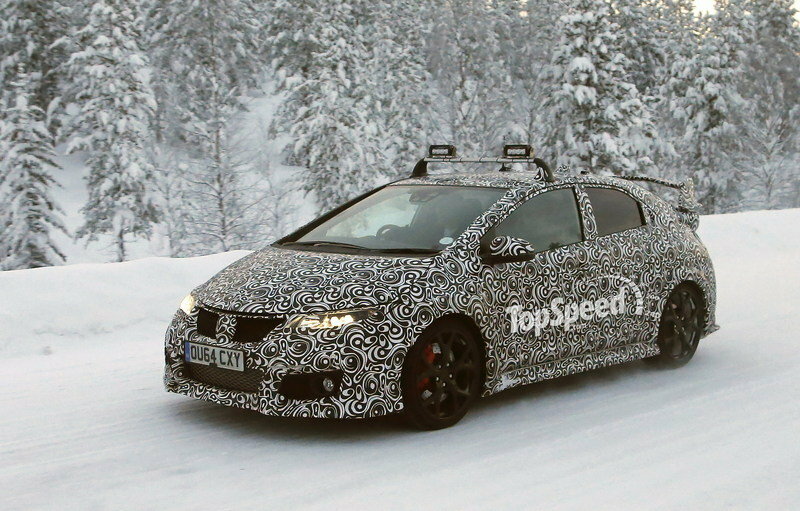 The current benchmark is held by the Renault Megane RS 275 Trophy-R, but knowing Honda’s determination and the technology behind the new 2.0-liter, turbo engine, we might see a new Nurburgring record fall over the next few months. 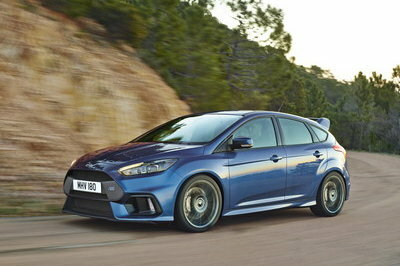 What’s equally important is that the Type R arrives just in time for the new 2016 Ford Focus RS, reportedly a 330-horsepower hatch with AWD. Sure, the Civic is less powerful at around 280 ponies, but we won’t know which is faster and more agile on and off the track until the full specs are out and the first comparisons begin to surface.